A fun activity for youngsters. 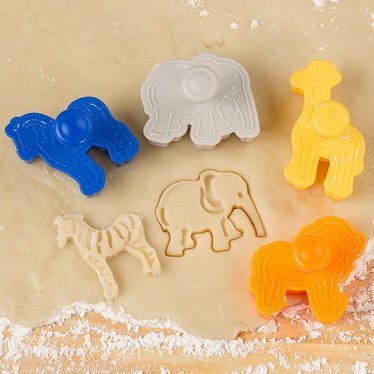 Set of 4 cutters: elephant, giraffe, lion and zebra. Recipe included.